SHARK DIVING HOTSPOTS: FALSE BAY, SOUTH AFRICA. Species: Great white sharks, broadnose sevengill sharks, leopard catsharks, pyjama sharks, dark shysharks, puffadder shysharks and spotted gully sharks. Encounter: Simon's Town in False Bay offers kelp forest diving with up to 7 species of sharks on one dive. The inshore diving takes place just 20 minutes from Simon's Town harbour. Upon entry in the right spot, it is possible to immediately see sevengills swimming through the kelp forest canopy. 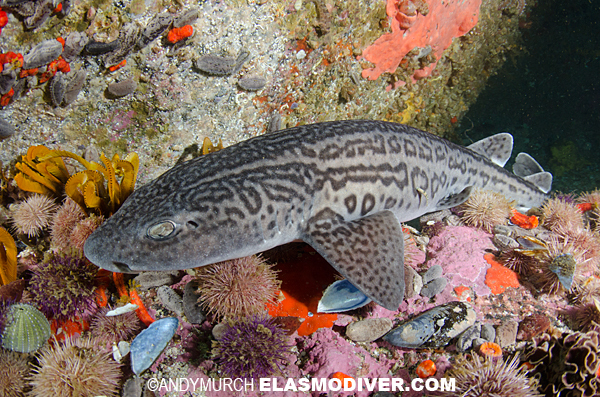 Upon closer inspection of the reef, up to 5 species of catsharks can be seen milling around or resting in cevices. 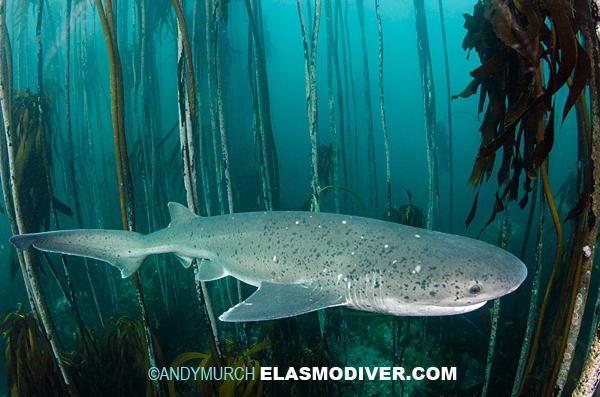 The most commonly encountered species are dark shysharks, puffadder shysharks and pyjama catsharks. At Miller's Point (a particularly good spot for sevengill sharks) divers can also see spotted gully sharks by entering a number of small caves hidden below the reef. That in itself makes this area one of the best shark diving destinations in the world. However, Simon's Town is also the launching point for trips to Seal Island where shark enthusiasts can watch great white sharks launching completely clear of the water in pursuit of Cape Fur Seals. A regular morning at seal island involves arriving just after sunrise to watch the fur seals leaving the island. At this point many natural predations often occur within sight of the boat. Once these taper off, the boats deploy decoys (seal silhouettes) that they tow behind the boat to give any photographers onboard a chance to freeze a white shark in mid breach. After this, the cage is put in the water and the divers enter the cage and wait for Mr. Big to swim by. Operators: There are three licensed boats that offer white shark cage diving and predation viewing at seal island. Shark Explorers also offer reef diving encounters with the other sharks listed above. Big Fish Expeditions runs a week long Shark Safari that incorporate all of the shark action listed here plus blue and mako offshore chumming in the same area. This is an extremely well rounded introduction to South African shark diving. Accommodation: Land based. There are plenty of accommodation options in Simon's Town but the closest and most convenient hotel to board the boat each day is the Quayside Hotel located right at the pier where the boats dock.